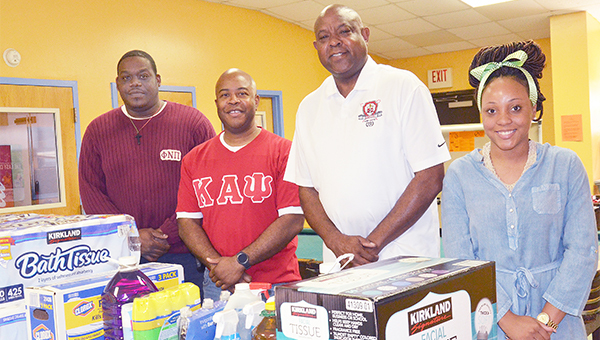 The Troy University Alumni Chapter of Kappa Alpha Psi is a service organization that is continually looking for ways to assist with community needs. The chapter is especially supportive of young people and senior adults. They recently donated cleaning supplies to the Boys and Girls Club in Troy.